The Complete History of Parker`s Maple Barn as We Know It! Built in 1782, this home was known as "The Laurels". 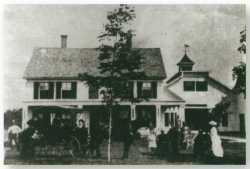 It is located on Federal Hill in Milford, NH and was the birthplace of Millicent Doane Bartlett. It was purchased by William Buzzell on May 25, 1933. He operated a dairy farm until the late 1950`s at which time he sold the buildings and approximately 80 acres to Donald McMulkin. William`s daughter Verna and her husband Frederick Parker lived there after their marriage. The following children were born in this house: Emily Jane Parker (1933), William Robert Parker (1935), Charles Lee Parker (1937) and Carol May Parker (1938). In the 1960`s the barn was sold to Ray Parker and his brother. They dismantled the barn and re-constructed it in Mason, NH. 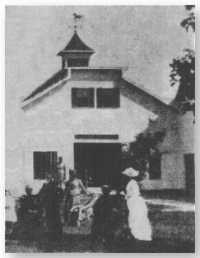 It became the home of a restaurant called Parker`s Maple Barn. The Parker family established the restaurant in 1969. The Original Barn known as Parker`s Maple Barn has been owned and operated by Ron & Sandy Roberts since 1987. Ron & Sandy came to Parker`s Maple Barn for the same reasons most people come here into the woods, for the great food and to escape the hustle and bustle of the city. When Ron & Sandy overheard a conversation about the business being up for sale, they quickly inquired about it and within a few months the establishment was theirs. Parker`s Maple Barn is very well known throughout New England and beyond for their famous hearty breakfast menu served all the time. The "Parker`s Maple Barn Special", a full breakfast including two pancakes, two eggs, two pieces of bacon, two sausage links and a piece of ham, home fries and thick homemade toast, served with Parker`s Maple Barn PURE Maple Syrup has become a breakfast favorite. Lunch is served daily with entrees such as Fresh Haddock, Maple Baked Ham and Beans or Roast Turkey Dinner. Homemade soups and chowders make for a great beginning to your meal! Another famous favorite is the Maple Glazed Baby-Back Pork Ribs. Slow cooked for several hours with Parker`s Maple Barn own Maple Syrup results in tender and sweet pork that falls off the bone! Maple Syrup is made right here at Parker`s Maple Barn. Come in February or early March and you will find Maple Syrup being made the old-fashioned way, with a wood fired evaporator. Maple Syrup was first made by Native Americans using hot rocks placed into hollowed-out logs full of sap. Later, as European settlers arrived they brought with them steel kettles to cook with and these soon replaced the log kettles. Parker`s Maple Barn Sugar House still believes that cooking with a wood fire keeps the traditional ways alive and gives the Maple Syrup a distinct flavor. You may enjoy a tour of the operation (free to the public) on weekends throughout Sugar Season. Group tours are available weekdays by appointment, for a fee. A short walk from the restaurant, through a little covered footbridge (actually it`s an antique corncrib, used for storing ears of corn in the old days) is the unique Corn Crib Gift Shop. 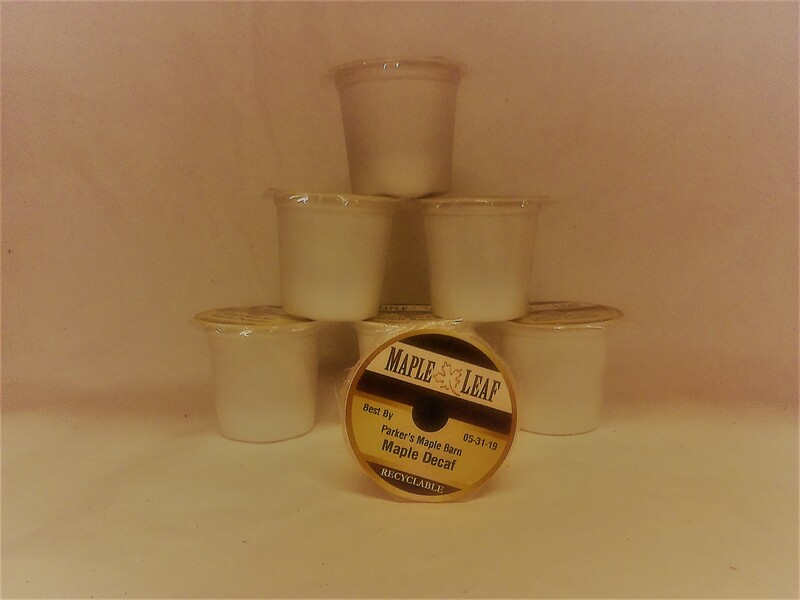 Here you will find a complete line of maple products along with a fine selection of gifts. Many candles with fabulous scents are available. There is a wonderful selection of toys, jams and jellies, pottery, cards and some great seasonal gift items. There`s a nice selection of sterling silver jewelry, unique drums and dreamcatchers as well as apparel, hard to find books, music and much more! The Corn Crib also specializes in all occasion gift baskets and boxes. If you need a unique or special gift, our baskets and boxes are a great idea. All of the products can be shipped anywhere in the world. Visit http://parkersmaplebarn.com - - your Internet connection to the most excellent tax-free Maple Products or call toll-free at (800) 832-2308. Parker`s Maple Barn, 1316 Brookline Road, Mason, NH 03048.